Applying for new credit cards can be a big step. And using credit cards cleverly can be extremely beneficial. Every consumer will have to make this decision sometime in their life. If they are going to save up all the money and buy the item, or pay it off over time. However, being able to pay something off over time has certain requirements. Before any store or company gives off merchandise on credit, they need to check your credit fingerprint. The consumer, therefore, needs to know how to build up a reputable credit fingerprint by using credit cards. There are organisations that help provide opportunities for consumers to improve and optimise their journey to a better credit profile. The more you display your financial management capabilities in a positive way, the less you are considered a credit risk. Credit rating companies observe the consumers patterns and their ability to stick to their repayment plan. The more others are willing to offer potential credit, the better your credit rating gets. Getting someone to trust a new customer enough to give them credit is not so easy, though. This creates a problem to who will give them that break. The solution is not impossible, although it takes dedication to study patterns and gets the right advice. Companies such as ABSA, Barclays, American Express, Blue Bean, Virgin Money, FNB and MasterCard come to your aid. They have created products to help people wanting to build credit ranking. 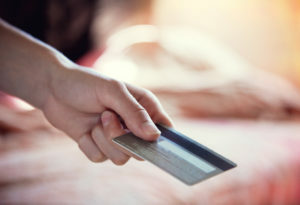 The credit and money cards they offer have low credit amounts. These cards have limited benefits, and they allow you to show your credit management skills. Some cards even have reward systems to allow purchases of small amounts such as R5.